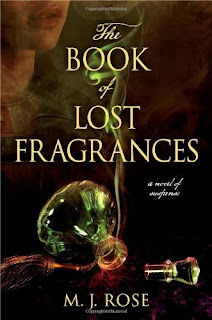 The Book of Lost Fragrances is the fourth book in the Reincarnationist series by M.J. Rose. A sweeping and suspenseful tale of secrets, intrigue, and lovers separated by time, all connected through the mystical qualities of a perfume created in the days of Cleopatra—and lost for 2,000 years. Jac L’Etoile has always been haunted by the past, her memories infused with the exotic scents that she grew up surrounded by as the heir to a storied French perfume company. In order to flee the pain of those remembrances—and of her mother’s suicide—she moves to America, leaving the company in the hands of her brother Robbie. But when Robbie hints at an earth-shattering discovery in the family archives and then suddenly goes missing—leaving a dead body in his wake—Jac is plunged into a world she thought she’d left behind. Back in Paris to investigate her brother’s disappearance, Jac discovers a secret the House of L’Etoile has been hiding since 1799: a scent that unlocks the mysteries of reincarnation. The Book of Lost Fragrances fuses history, passion, and suspense, moving from Cleopatra’s Egypt and the terrors of revolutionary France to Tibet’s battle with China and the glamour of modern-day Paris. Jac’s quest for the ancient perfume someone is willing to kill for becomes the key to understanding her own troubled past. After enjoying the third book in the Reincarnationist series, I was looking forward to continuing with book four. I have not yet read books one and two, but these are pretty stand alone reads. I don't read historical fiction very often, but this series has a nice mix of mystery and suspense. The reincarnation aspect of The Book of Lost Fragrances is tied to the memory of a scent. I loved this concept. It is likely this book will remain my favorite of the series. 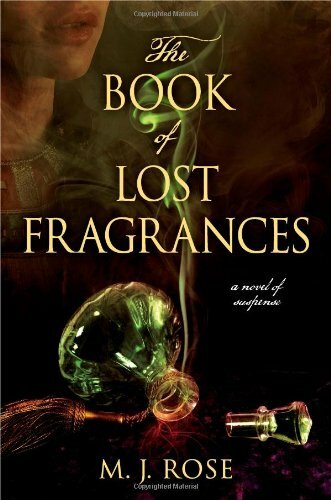 If you're a fan of historical fiction, The Book of Lost Fragrances has a lot of depth and a unique premise. I think a lot of mystery and thriller fans will enjoy it as well. For more reviews, check out the full The Book of Lost Fragrances tour here. Memory of a scent, now that is a great concept. I'm not a fan of historical fiction though. I have enjoyed MJ Rose Dr. Snow series. I am not a huge fan of historical fiction, but this book/series seems interesting enough. I love a good mystery. I've read the third one in the series I think. But you are right, they stand alone pretty well. I'll keep this one in mind. I only heard of MJ Rose within the past year. I still have to read her Memorist books...she is one of Douglas Clegg's favorite authors, and he is one of mine, so I have to check her out. I've been on the fence about this one although I am intrigued by how scents affect our thoughts and memories.